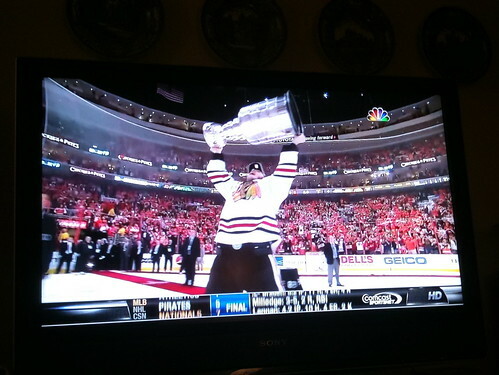 I am a huge Chicago Blackhawks fan. I remember the first Hawks game my dad took me to in the old Chicago Stadium. I almost cried because it was such a special moment. Dad told me to watch the new player, #7, because he was really fast. And that #7, Chris Chelios, became my favorite player. 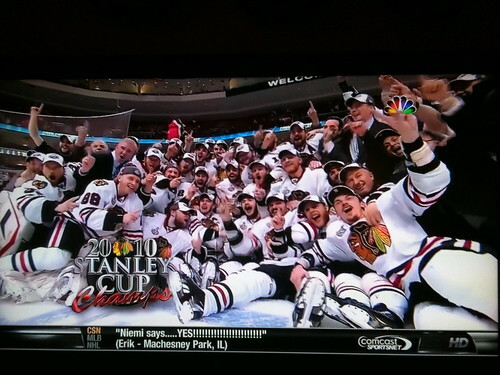 Tonight, I was filled with a lot of pride for these boys as they won Lord Stanley’s Cup. It was a fantastic hockey series. Fast paced, end to end play, a really great series. It was so exciting, I couldn’t knit a stitch during the games. 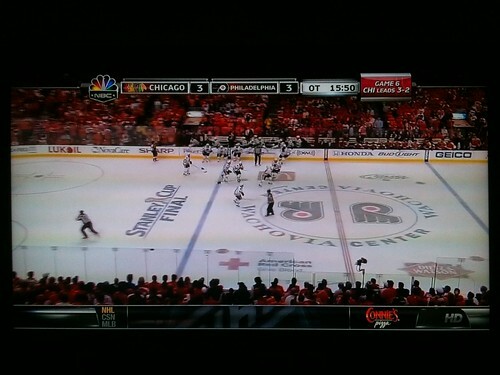 The only bad thing was that it took about a minute to realize the Blackhawks won the game! Nobody saw the puck go in so it was a delayed celebration. But a celebration nonetheless! We did our part to cheer the Blackhawks to victory. 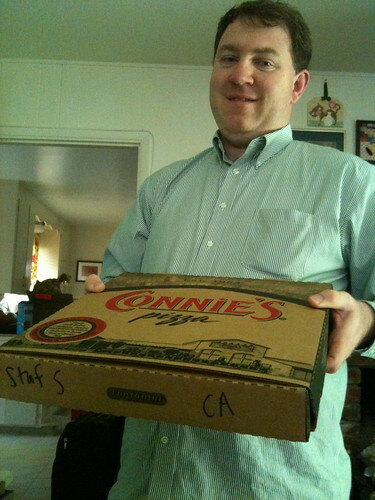 We ordered two pizzas from my favorite place in Chicago, and had them sent 2,166 miles. The Hawks won every game we had that pizza for dinner. I’m just sayin’.